Discussion in 'Pin Showroom' started by MommaIvy, Sep 15, 2018.
. 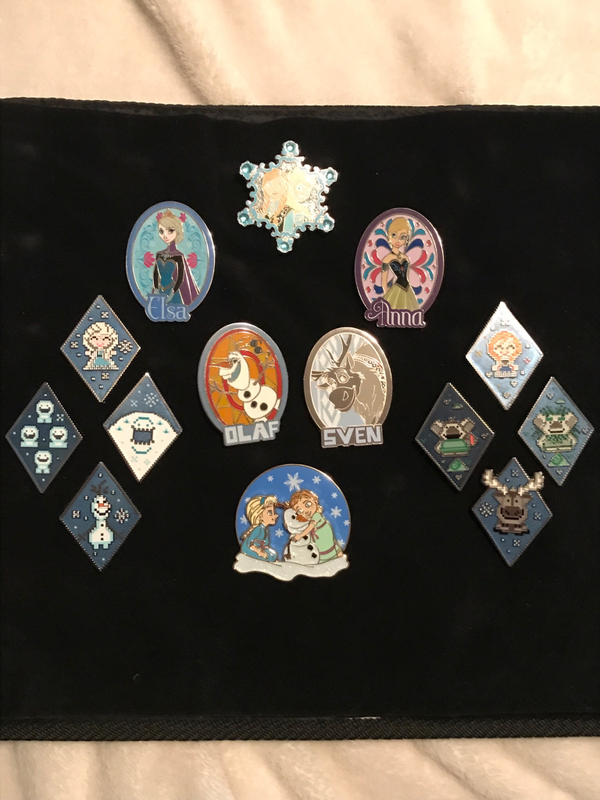 The reason I joined this forum exactly a month ago was because I needed help finishing my Frozen mystery set and everyone on Ebay was charging too much. I signed up here and voila! I have them all PLUS the Frozen boosters I purchased thru a member of this same forum!!! I think this is the start of a lot of fun although my savings account will be taking a hit. Jack Skellington, TammyH, timeerkat and 4 others like this. Congrats! That all looks so good together! A very pretty display. Congrats! Nice set! Congrats, and thanks for sharing. Yes there are...and I can’t wait to collect more!!! They look so cute all together! Congrats! What a fun display! They look great together.